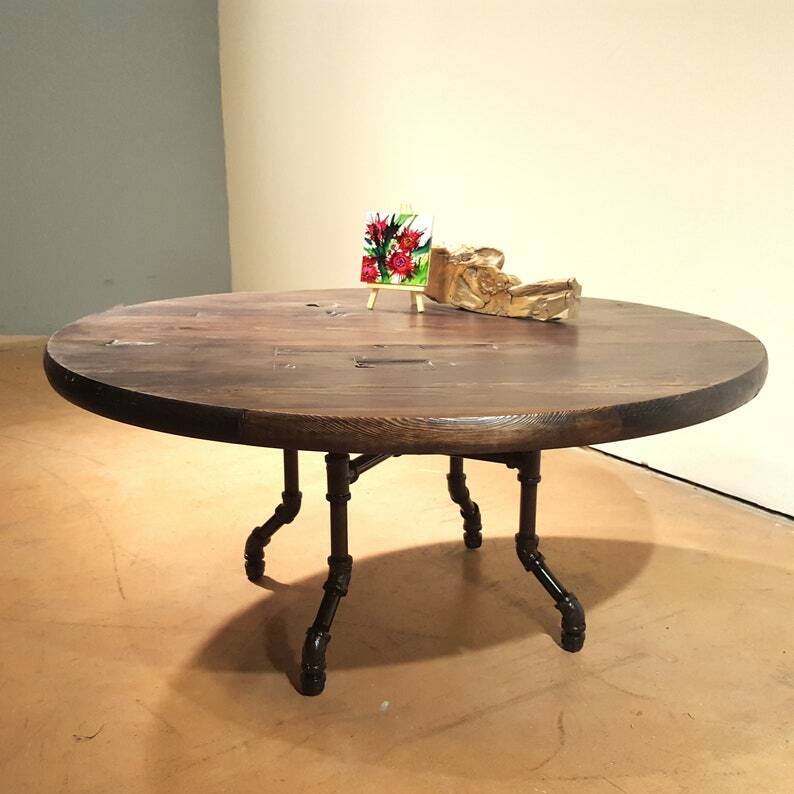 Reclaimed wood round coffee table with handcrafted pipe legs. 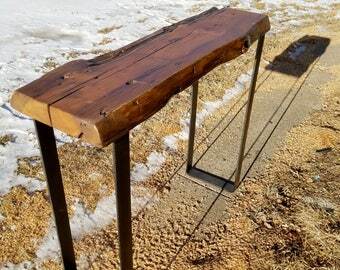 Made from authentic, hand-hewn, salvaged wood from century old barns and cabins in the upper Midwest. We have smoothed and flattened the top surface so you can set glasses on it. Table top diameter is 36"
1. Choose your finish color from the drop down menu. I mix my own dyes to tint the wood. 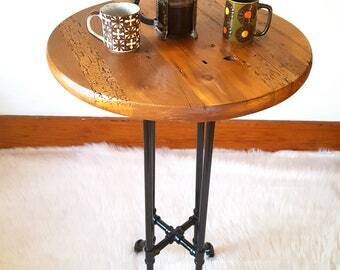 I am happy to custom mix a shade to work with your own furnishings, floors, woodwork etc... Please inquire if interested. 2. Choose your leg color from the drop down menu. The standard leg color is a finish called dark hammered bronze. We also offer black and antique gold. 3. 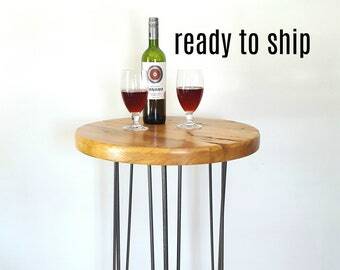 I want your table to be the perfect fit for your home. Do not hesitate to contact me with any questions or special considerations before ordering.